Are you interested in going to the Morgan's Wonderland trip but would like to know more details before making a commitment? Here are some of the answers to important questions you may have in regards to the upcoming trip. For more details, join us for an informational meeting on Monday, September 10th from 6:30-7: 30 pm. 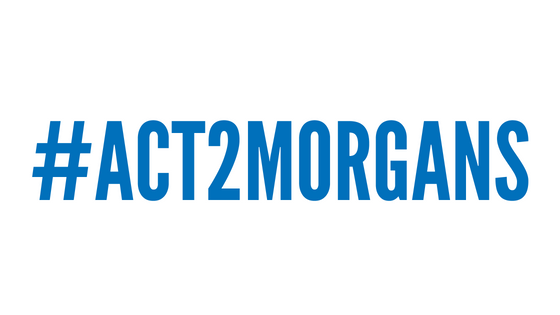 Q:When is the #ACT2Morgans trip? A:The trip is planned for June 5-7, 2019. Q:What all does this trip include? A:We are hoping to get charter buses to transport us to San Antonio. We will stop along the way for a picnic lunch (provided by you), some shopping at the Mexican Market, dinner on the Riverwalk, hotel, entrance into Morgan’s Wonderland, Inspiration Island, and Sea World. Q:How much is it to go? A:We are working on getting group discounts and admission prices and hope that the Booster clubs efforts will cover the entire trip. However, we know this is a lofty goal. You can help by sharing our GoFundMe page. Q:When is my deposit due? A:Deposits are due no later than December 21, 2018. Q:How do I pay my deposit? A:We can accept cash, check or credit card for the deposit. You can also pay the deposit online through the website. Q:Why do I have to pay a deposit? A:This is just to ensure that your family is serious about attending. Soon hotel rooms will need to be booked as well as charter buses so this ensures you really want to attend. If fundraising efforts are successful, we hope to give every family their deposits back once we are on the trip, for extra spending money. A:Any student is welcome to attend as long as one parent chaperone is accompanying them. Q:Can the rest of my family go too? A:Of course! We want your family to enjoy this experience together. Our fundraising efforts will hopefully cover just students and one chaperone per family. Each additional member of your family will be $100 and at your expense. Q:What if my question isn't listed?